Exported the Jamie Says album to Dropbox for Kyle to peruse at his leisure. The album’s called ‘Blue Genes’ by the way. Kafkadiva final (?) tweaks pre mastering: three tracks done tonight, rest tomorrow, then master the lot. WAA ‘Valentine’ mix.. had a listen over breakfast and its pretty much there. Last third needs a good crop though. 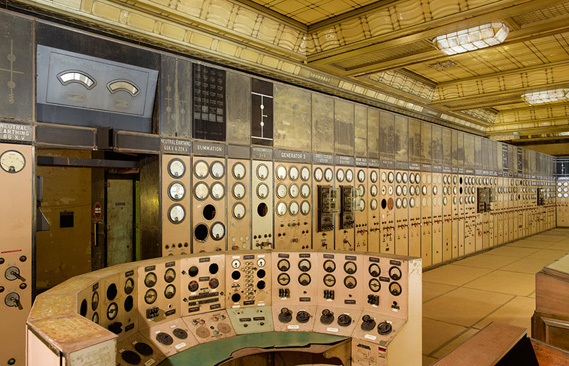 Came across this link to some stunning pictures of Battersea Power Station. Nothing to do with music, but am picturing all those lovely switches and knobs as old compressors, gates and EQs.